We have had a really nice day and I took my niece and nephew to church with me this morning whilst my husband and sister competed in a 5 mile race. 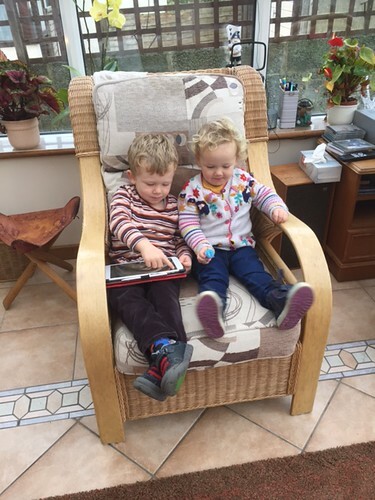 The kids were pretty good really although they have a bad habit of winding each other up and especially the bigger ones will prime the littlies to do something naughty and then let them get blamed for it. A number of people I know are expecting their third or fourth baby and I was feeling a little broody. 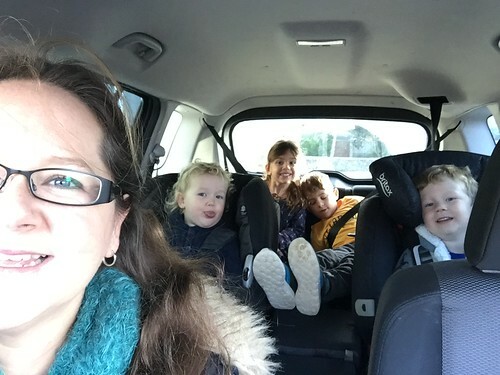 Taking all four kids out for a trip is a reminder that I am not that desperate to have any more!!! 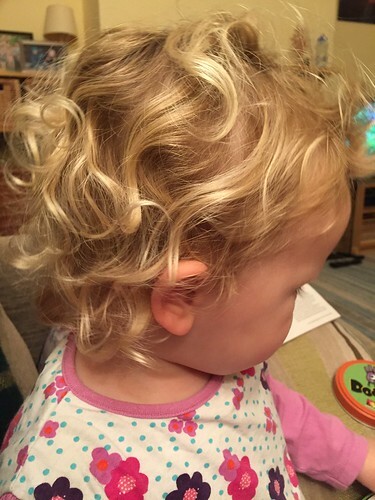 Check out the curls on this little beauty! She has the most beautiful hair and it makes me smile every time I see it. My lovely sister looked after the kids this morning which was fantastic. She popped down to Dad’s this morning to do a few bits and pieces and told the kids to ‘go and play’. This meant that they went and found Dad’s iPad. They know what they want! Sensible children. 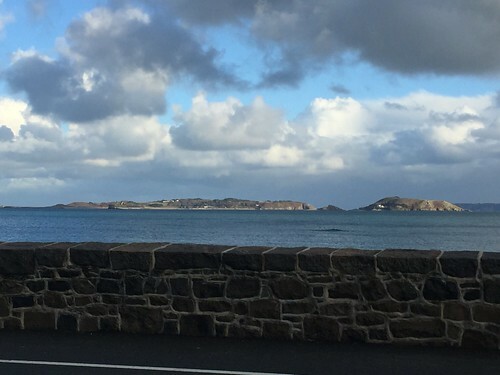 I had a meeting today and due to loads and loads of roadworks I sat in traffic but this lovely view of Herm and Jethou was out of the window. There are worse places to sit in a traffic jam I guess. 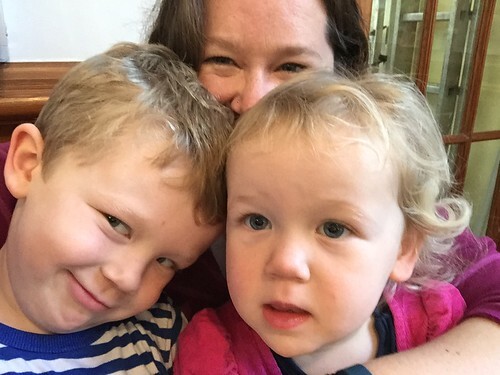 Our poor childminder is poorly this week so we have been juggling childcare. This is when I realise how grateful I am for reliable, kind childcare who love our children and who I am happy to leave them with! I took this morning off and The Mister took the afternoon off and he took the kids out to the park. 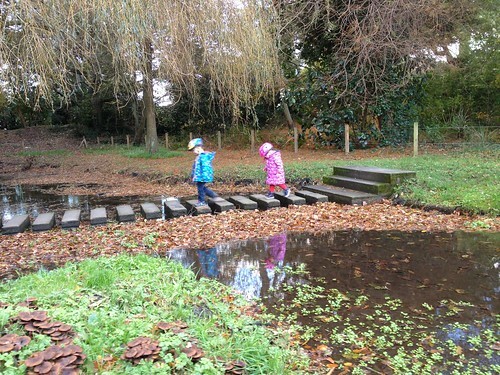 I nearly had heart failure when I saw these photos of them walking across the stepping stones! Such a busy day at work doing training all day and then going out to a GP practice to deliver a presentation. Here is a quick selfie snap taken in church yesterday. The children have been pretty vile all day; tired and fractious and winding each other up and by default winding us up too. Last night the weather was pretty awful, a big storm with winds of Force 10 gusting to Force 12. There were quite a few trees down and some flooding but it seemed like we needed to get out anyway. 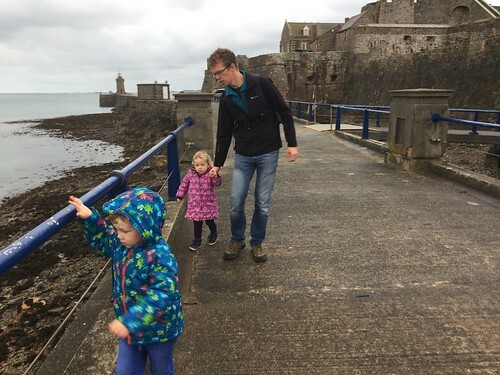 We went out to Castle Cornet as there was a craft fayre and some Christmas activities, The fayre was good, the activities less so but it was nice to get out in the fresh air, and a bit of rain! 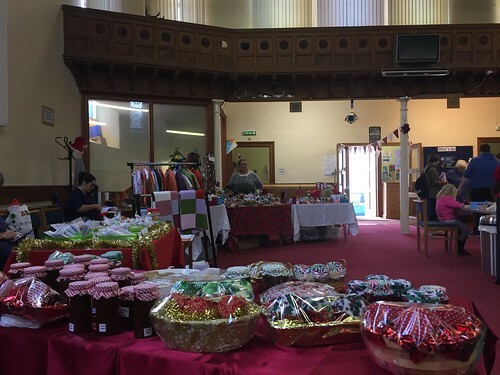 Today I went to my Dad’s church to visit the craft fayre. 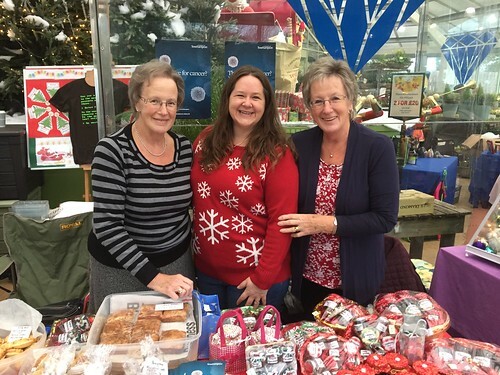 There were loads of lovely things to buy, but especially my Auntie Jenny’s jams and chutnies. The Little Miss was just happy that she had seen her Grandpa! This isn’t a very good picture of The Little Mister but all of the ones I took were a bit rubbish! 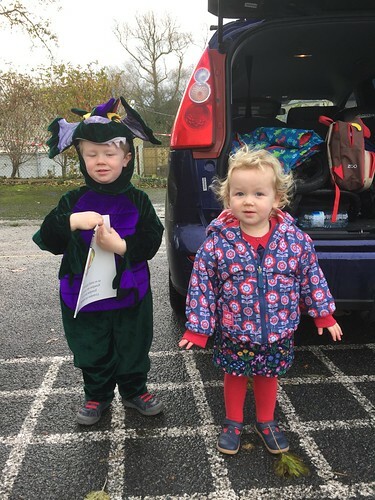 It was Children in Need today so the kids could go in fancy dress. The Little Mister has always been a fancy dress refuser but this year he was much keener as long as he could go as a dinosaur. This was as close as we could get, but we had to call it a dragon dinosaur to make it acceptable!